Every year, hundreds of people around the world are arrested without warning and imprisoned by their governments – or worse, killed. Their detention is denied; their location unknown. They are outside the protection of the law and often their very existence is called into doubt. Very often, people who have disappeared in this way are never released and their fate remains unknown to family and friends. These people are the disappeared. Since the Second World War, enforced disappearances have been a common occurrence around the world. Under Augusto Pinochet’s seventeen-year rule in Chile, 2,279 people were abducted and killed by the regime, in addition to 1,312 who were exiled. In the former Soviet Union, the disappearance of political opponents was commonplace. In Sri Lanka, the International Red Cross estimates that eleven thousand citizens who were abducted by security forces during the civil war are still unaccounted for. The crime is both endemic and global in nature. The reality, of course, is that someone knows the fate of these people, and someone is responsible for their disappearance. Countless international laws and declarations list enforced disappearance as a crime, but the practice continues and all too often the perpetrators evade justice. 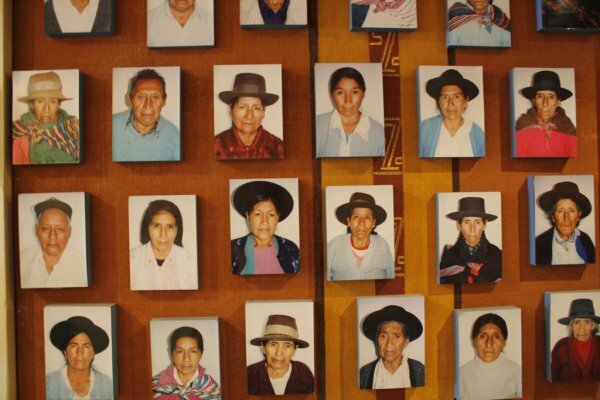 Every August 30, the world marks the International Day of the Disappeared to remember those who have been lost, to support the families left behind and to stand firmly against the practice in all its forms. As enforced disappearances are used as a tool of oppression, they are often directed against ethnic and cultural minorities – some of whom are represented among the Members of UNPO. Unfortunately, many of our Members have first-hand experience of such abductions and know the consequences all too well. Balochistan – a nation comprising the western part of what is currently Pakistan – is subject to endemic levels of enforced disappearances, largely due to its tense relations with the central authorities. Since a crackdown launched by Zulfaqar Ali Bhutto in the 1970s, Pakistani security forces have forcedly disappeared thousands of citizens – up to 82% of whom are of Baloch origin. Kidnappings, torture and extrajudicial killings are commonplace, with the aim being to terrorise the Baloch people into submission. Although the provincial government recognises fewer than a hundred cases of enforced disappearances, some sources put the actual number of unresolved cases as high as fourteen thousand. In East Turkestan, enforced disappearances are also commonplace. The region’s twenty million Uyghurs – a largely Muslim Turkic people who enjoy scant official recognition – are subject to mass arrest and torture for alleged “separatist activities,” and often these people simply vanish. After the September 11 terrorist attacks, over two hundred Uyghurs were executed on political grounds, and in one year (1997) over a thousand were subject to extra-judicial killing. In March 2012, China’s National People’s Council passed a variety of widely-criticised amendments to its Criminal Procedure Laws which will have drastic consequences; some of these amendments will in effect legalise the already widespread practice of enforced disappearances of Uyghurs, and other Chinese minorities. Many Uyghurs have attempted to uncover the whereabouts, condition and fate of their forcibly disappeared loved ones, but continually find their requests for information being rejected or ignored, leading to a stubborn culture of impunity. Another UNPO Member, Tibet, also knows the harsh reality of enforced disappearances at the hands of the Chinese government. In fighting for freedom from the occupying Chinese military forces which have been present since 1959, Tibetans suspected of dissent are taken to secret detention facilities and are then often tortured and intimidated, before being released or put into “soft detention” and barred from contacting the outside world. Particularly at risk are Tibetan monks, who are forcibly removed from peaceful protests within monasteries and detained en masse for indefinite periods. In all cases, UNPO continues to work with its Members to advocate for their rights, as well as to raise awareness of the difficulties they face. We strongly condemn enforced disappearances of any kind and stand firmly with those who seek to put a stop to this damaging and vicious crime. International human rights law makes significant provisions against enforced disappearances. Since the Vienna Declaration and Programme of Action, signed in 1993, disappearances at the hands of the State have been codified as “enforced.” Further, the Rome Statute establishing the International Criminal Court describes such abductions as a crime against humanity, meaning they are not subject to a statute of limitations. In 2006, the UN General Assembly adopted the International Convention for the Protection of All Persons from Enforced Disappearance, which also classifies enforced disappearances in this way. Currently, ninety-two countries have signed the Convention, of whom thirty-two have also ratified it. However, China, Russia, Pakistan and Sri Lanka – all countries with a history of enforced disappearances – have not yet done so. The Convention contains provisions for the prevention, investigation and sanctioning of State-authorised abductions, and gives victims’ families the right to seek reparations. An international campaign – the International Coalition Against Enforced Disappearances – is currently working towards universal ratification of this Convention. Upon its adoption, a Committee on Enforced Disappearances was established which issues regular reports detailing the scale of the problem, in addition to bringing together diverse UN member States in a common struggle against this crime. Complementing these legal advancements are major human rights organisations such as Amnesty International and Human Rights Watch, who campaign vocally against enforced disappearances around the world. Today, as we mark the International Day of the Disappeared, we stand resolutely beside them in their work and look forward to justice for all those who have been subject to this crime. Article image by The Advocacy Project. UN Human Rights Council, 2013. UN Office of the High Commissioner for Human Rights, 2011.